Washougal hosted a combined 125/500 National, and defending 125 National Champion Mark Barnett won his class over Kawasaki's Tommie Benolkin and Yamaha rider Donnie Cantaloupi. In the 500 Class, Yamaha's Broc Glover went 1-1 for the overall ahead of his teammate Mike Bell and Team Honda's Danny LaPorte. 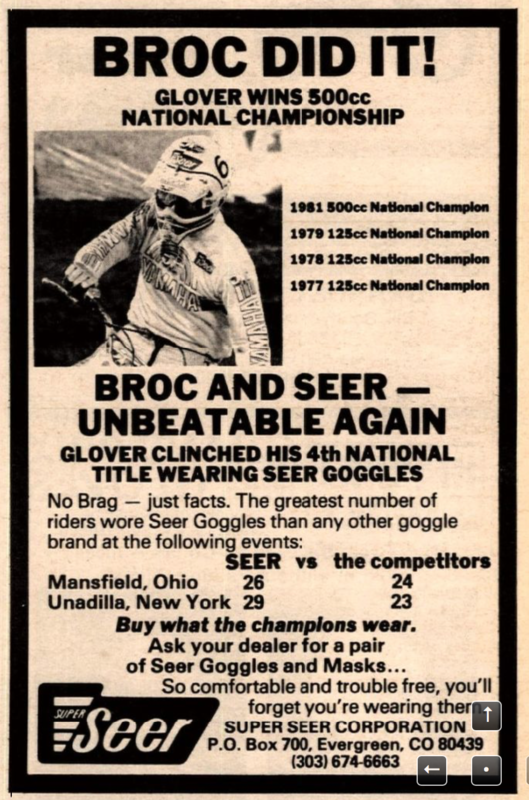 The wins for Barnett and Glover allowed them to clinch their respective titles for 1981. Over in Europe, Andre Malherbe opened a ten-point lead on his teammate Graham Noyce by going 5-1 at the 500cc Grand Prix of Namur, Belgium, and Corrado Maddii moved within two points of Suzuki's Harry Everts with two rounds to go. At the 500cc Grand Prix of Namur, Belgium, KTM rider Heinz Kinigadner, the two-time 250cc FIM Motocross World Champion (not to mention Austria's one and only World MX Champion), went 4-1 to get his one and only 500cc Grand Prix win. 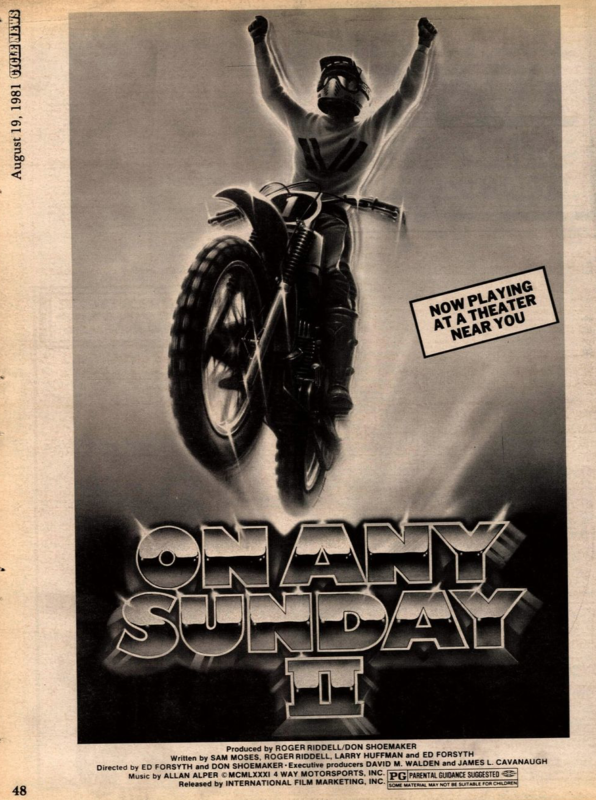 British Kawasaki rider Kurt Nicoll finished second overall with 3-3 scores, while the man who would eventually win the '87 world title, Georges Jobe, won the first moto but did not finish the second. The AMA Amateur Motocross National Championship at Loretta Lynn's was in full swing, and 15-year-old James Stewart was a dominant force in his fluorescent pink Fox Racing gear, winning all six of his motos in 125 Schoolboy Mod and the 125 A class. It was his last appearance at Loretta Lynn's as an amateur, as he was already signed to a Kawasaki factory team deal for 2002 AMA Supercross. Washougal hosted a 125/500 National and the winner was Kawasaki's Mike Kiedrowski, who went 3-1 to beat the 1-3 of Team Honda's Jeff Stanton. 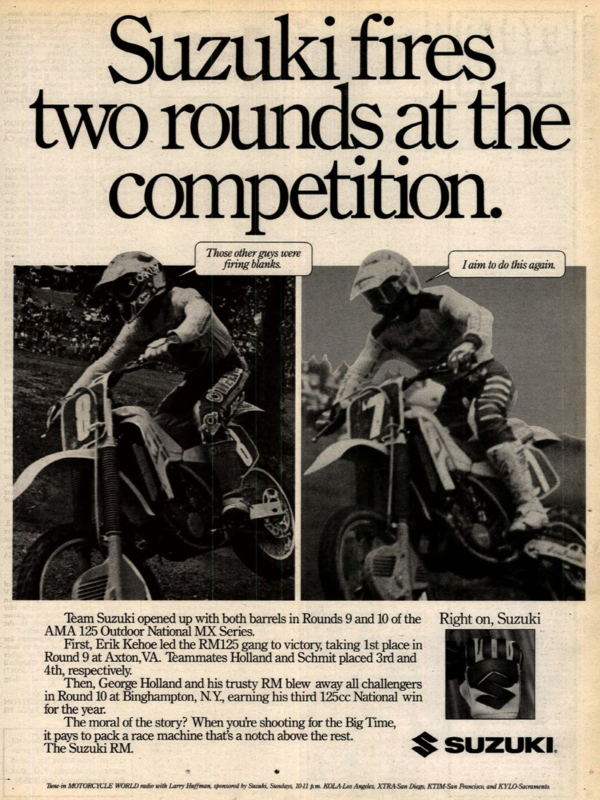 In the 125 Class, Yamaha's Jeff Emig won the 125 Class, as he was trying to reel Mike LaRocco in as they battled for the 125 National Championship. LaRocco struggled to a tenth-place finish. 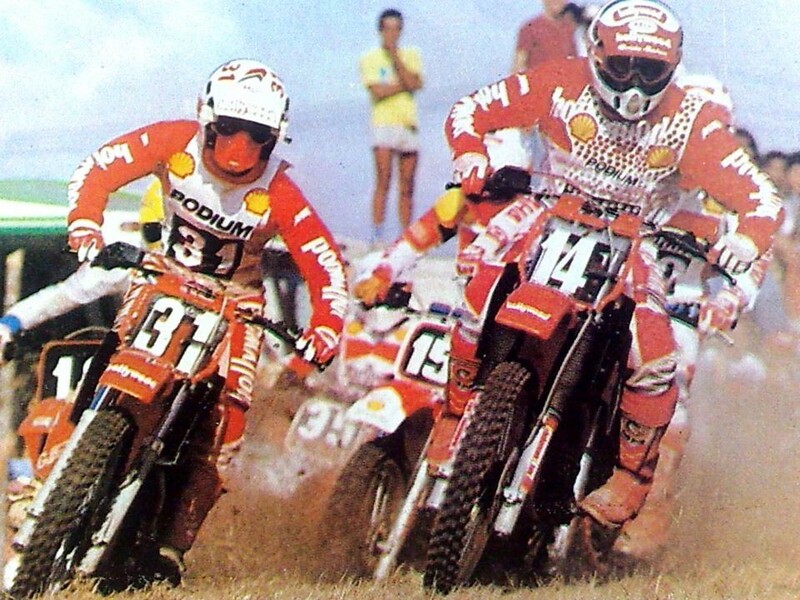 Chesterfield Yamaha's Donny Schmit clinched the 1992 FIM 250cc Motocross World Championship with a win in Sweden. Schmit earned his second world title with 2-2-1 scores in the three-foot format. Edwin Evertsen would finish second on the day after winning the first two motos, then seventh in the finale.